Wales have a very mixed history with the wonderful world of rugby sevens. They’ve generally been pretty average on the World Rugby Sevens tour, with the notable exception of one spectacular moment, where they confounded practically everyone, including themselves you’d imagine, by winning the 2009 Sevens World Cup in Dubai. It was a momentous day that announced Wales as a potential force on the Sevens circuit… potential being the operative word. Since then, things have been a mixture of momentary highs (reaching the finals of the Hong Kong Sevens in 2013) and crushing lows (losing to Portugal in Vegas last month). They also made a pretty poor fist of defending their World Cup title in 2013 in Moscow. 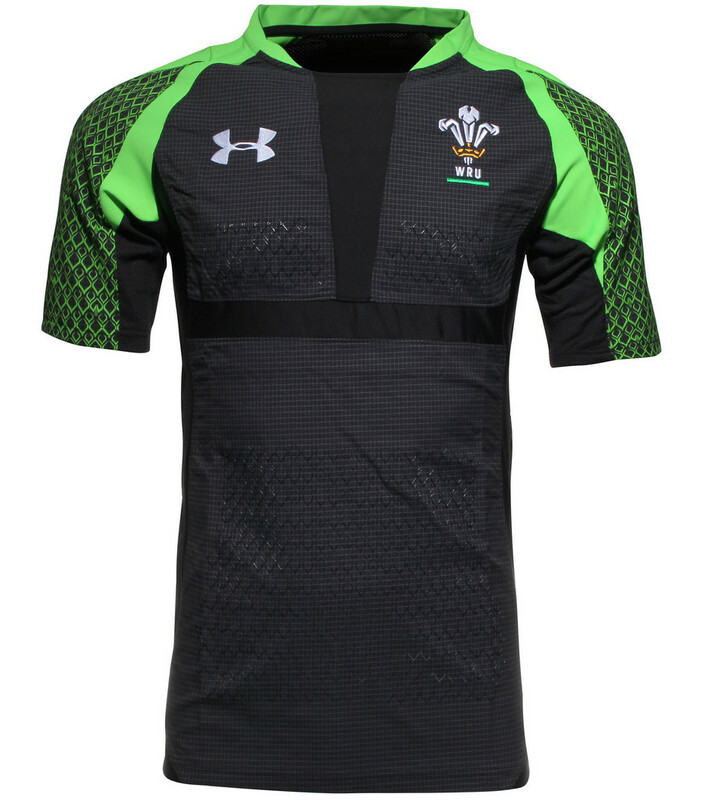 The tournament might not have gone so well, but that tournament was notable, as Wales wore a bespoke Sevens shirt for the very first time – this rather striking black and neon green number from Under Armour. It’s not the most wild and wacky Sevens shirt we’ve ever seen, but you can’t really argue that it looks damn cool. If there’s one arena where neon green is perfectly acceptable, it’s the World Rugby Sevens tour, and the way the colour pops against the black here is so very striking. It’s a nice way to adopt Wales’ traditionally shunned third colour (albeit in neon form) into the current Wales line-up. It’s worth noting that the current Welsh training gear has copied the neon green and black look, so it could well be something we see more of in the future. 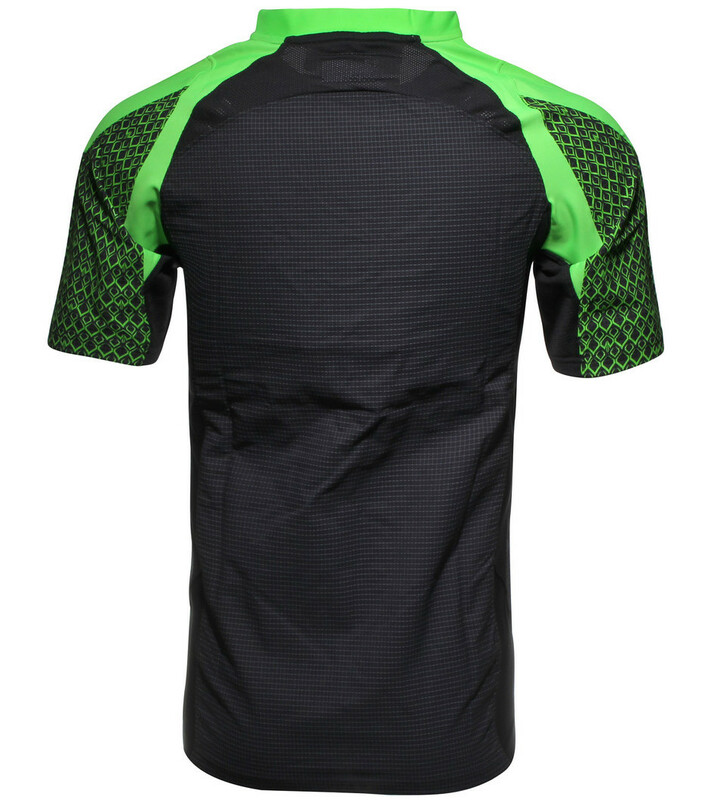 The most striking aspect of the shirt is of course those neon green shoulders – and we like the way that the shirt has emulated the ‘dragon scale’ grip pattern that’s on the front of both this shirt and the current 15s versions. It’s unique and eye-catching, but we think it looks really cool, and tones down the volume on the green a little, which could have been a touch overpowering otherwise. As with most Under Armour designs, the basic template here is the same one we’ve gotten a little frustrated with seeing time and time again, but at least this feels a little different to the norm, primarily thanks to the shoulder ornamentation and the colourscheme involved. 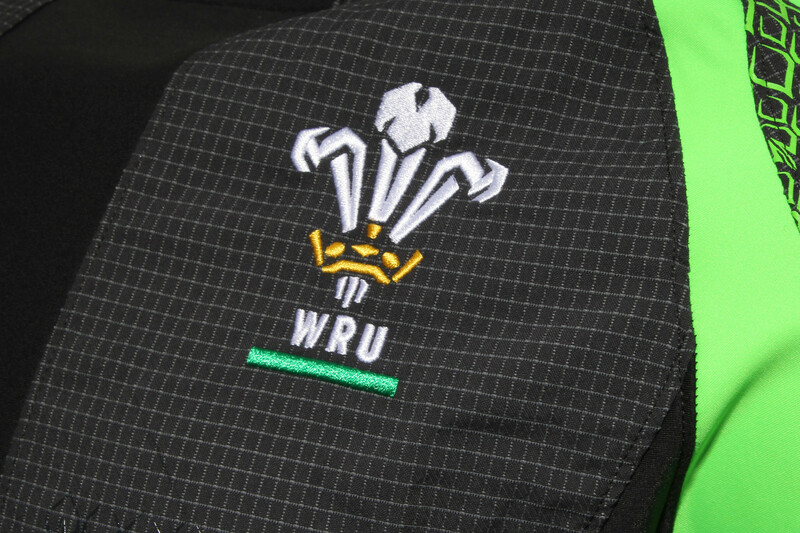 On paper, Wales playing in black and neon green sounds positively bonkers, and there’s no doubt this is about the most unusual and unconventional Wales shirt we’ve seen in a good long while. And yet, it’s not garish or ugly… it’s actually kinda sleek and classy… who’d have thought it?